Earth Day is near, and there are several lasting ways to help the planet. One of those is by adopting more environmentally-friendly eating habits. The ecological burdens of meat production are numerous, ranging from large-scale deforestation — studies have shown that almost four-fifths of the Amazon rainforest has been affected by cattle-ranching — to greenhouse gas emissions in which animal farming accounts for somewhere between 10 to 40 times the emissions of vegetable or grain farming. Even carnivore havens like Burger King are trying to amend their ways by piloting plant-based alternatives (eyes on McDonald’s). Before the entire fast-food industry turns leafy green, here are a few plant-based options you can pick up at your metro Detroit grocery store. Beyond Burger is the world’s first plant-based burger that is dead ringer for a beef patty in both appearance and taste. It offers almost 20 grams of protein from ingredients like peas. Pick up a packet at your local Whole Foods or have an employee grill one for you right in store. Available at Whole Foods Market, 2880 W. Maple Rd., Troy; 248-649-9600; wholefoodsmarket.com. Visit beyondmeat.com for more locations. 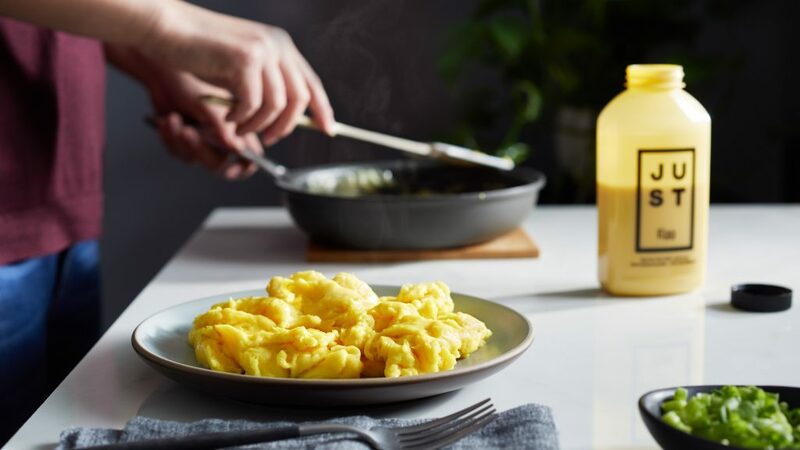 This creamy golden liquid made from mung beans scrambles so perfectly into “vegan eggs” it’s been sending shock waves across food media since it was launched at U.S. retailers in fall of 2018. If you’re too squeamish to cook it yourself, the Michigan-based vegan-accommodating restaurant Anna’s House serves it in bowls, tostadas, or plain. Available at Plum Market, 3675 W. Maple Rd., Bloomfield Twp. ; 248-594-2555; plummarket.com. Visit justforall.com for more locations. Going plant-based doesn’t mean you have to deprive yourself of the finer things in life, like artisan cheese. Miyoko’s, which dubs itself as “Tomorrow Creamery,” sells a variety of decadent nut-based products like cheese wheels — in flavors like winter truffle, garlic herb, and sun-dried tomato garlic — butters, and spreads. 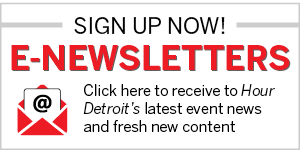 Available at Better Health Market, 1330 N. Telegraph Rd., Dearborn; 313-724-6000; thebetterhealthstore.com. Visit miyokos.com for more locations.